Do you have a favorite park where you love to spend a warm afternoon sitting under the shade of a tree? A place to enjoy a book, good conversation or a quiet drink? Wouldn’t it be nice to create that atmosphere in your own yard? 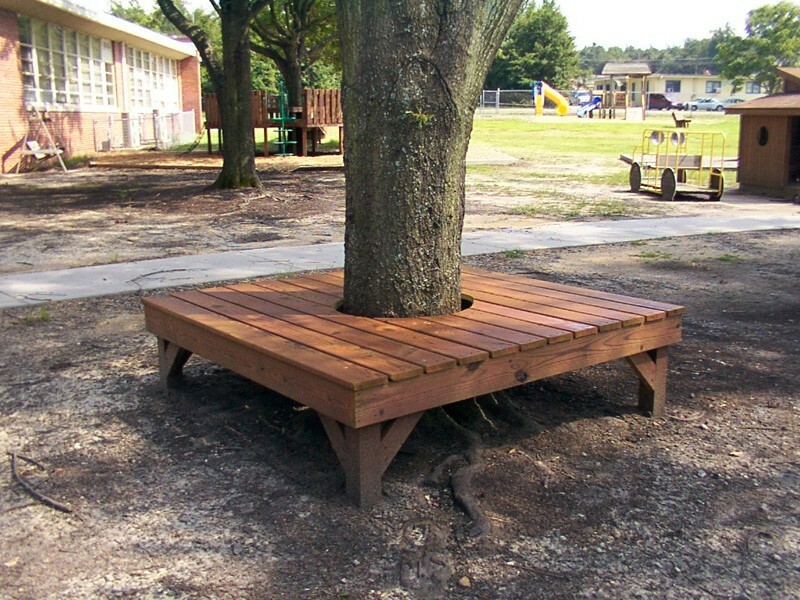 A tree bench will make it a reality! Your yard doesn’t have to be the size of a park, as long as it has a tree. 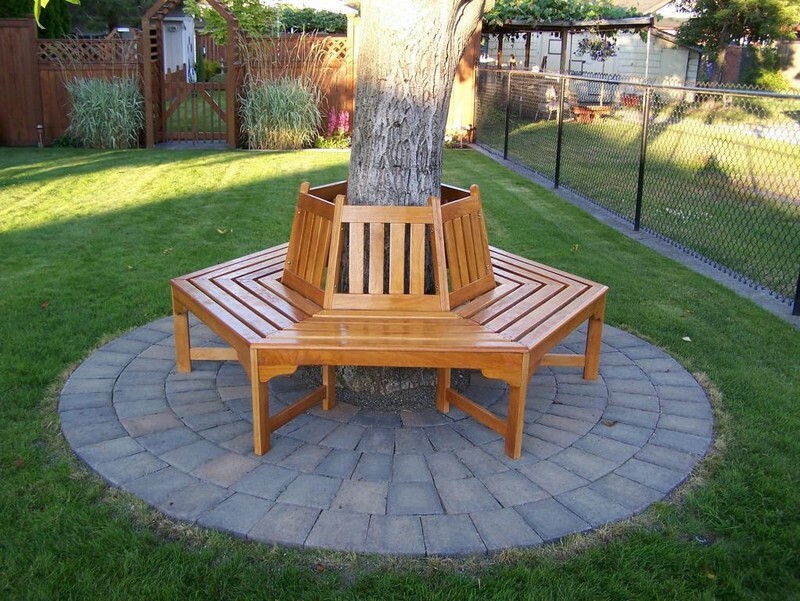 A tree bench is a great way to use the space and the shade under your tree. 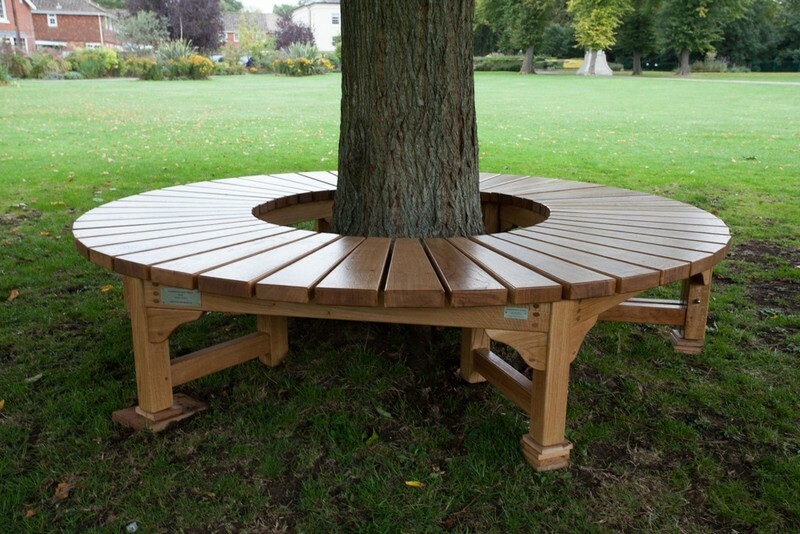 You can make it your personal space as there are plenty of beautiful tree benches to choose from. In this collection alone you’ll find a good variety of designs. You’ll definitely find one that calls out to you. If you can’t find the one that suits you, why not design your own? Use the tree benches here as a starting point. Building it yourself will allow you to customize the dimensions and the look.